Since Okinawa is a stone’s throw from where I live, I decided to hop on an airplane full of screaming babies to check out the island. 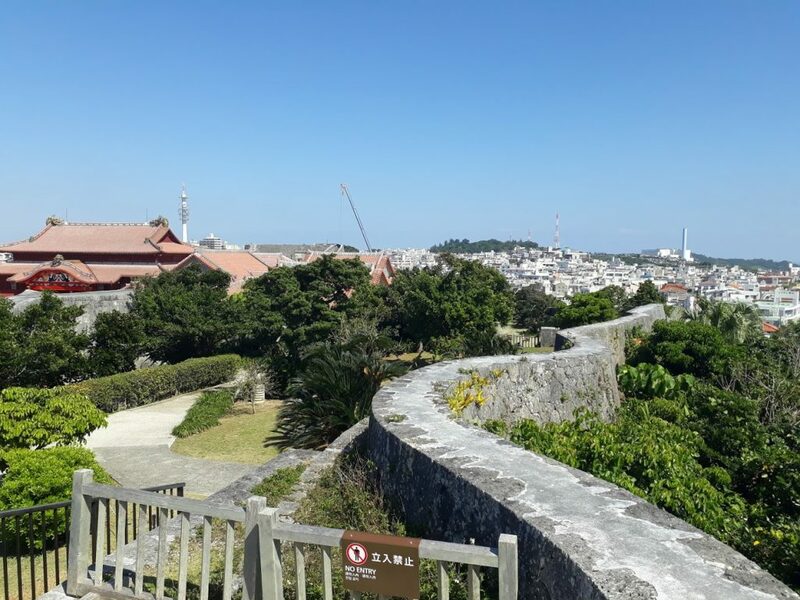 If you always wanted to visit Okinawa, continue reading this article for a little peak into the tropical island. My first trip to Japan was to Tokyo last year, Okinawa is a bit different. You can tell the government and culture places a lot of importance on efficiency and keeping things clean. I was really impressed with how cleans things looked; roads, buildings, subways – pretty much everything is really clean. The buildings all look new too! For those of you who drive, you would be happy to know that in Japan people actually follow traffic and road rules. This might not seem that important to you. But if you lived in countries like Thailand or Philippines, where traffic rules are free for all, you really end up appreciating safe drivers. You can actually cross zebra crossing without worrying about getting crushed by five billion scooters. I was so surprised when drivers actually slow down for pedestrians trying to cross. There isn’t much pollution either, which is great. I feel like Japan is trying really hard to keep things as green as possible. I don’t know if it was just my imagination, but I felt the cars were much quieter and had much less exhaust fumes as well. Even in the major cities like Tokyo there aren’t many cars, as most people prefer to take the subway system. You also don’t need to worry about armies of scooters taking over the roads. The weather is comfortable; tropical but not too humid or hot. It reminded me of the weather in Spain. When I visited in March, the temperature was between 15 – 20 Celsius, warm and dry. So my overall first impressions of Okinawa were great. Clean city, not much traffic, little pollution; so far so good. Getting to Okinawa is easy since there are a ton of direct international flights. Most of the people that visit are from neighboring countries such as: China, Korea, Taiwan, and Japan. It’s a favorite for Taiwanese people since it’s so close, the ticket is less than traveling inside Taiwan. The main airport is called Naha Airport. When our plane took off, our phones went sliding off the armrest to the way back of the airplane. We had no choice but to anxiously wait until the fasten seat belt sign was switched off to look for them. Several mini-heart attacks later, the light was switched off, and we went digging under the chairs of all the passengers on board. Unlike most countries where people will grab any item that is not tied down, we actually had everyone helping us look for our phones. 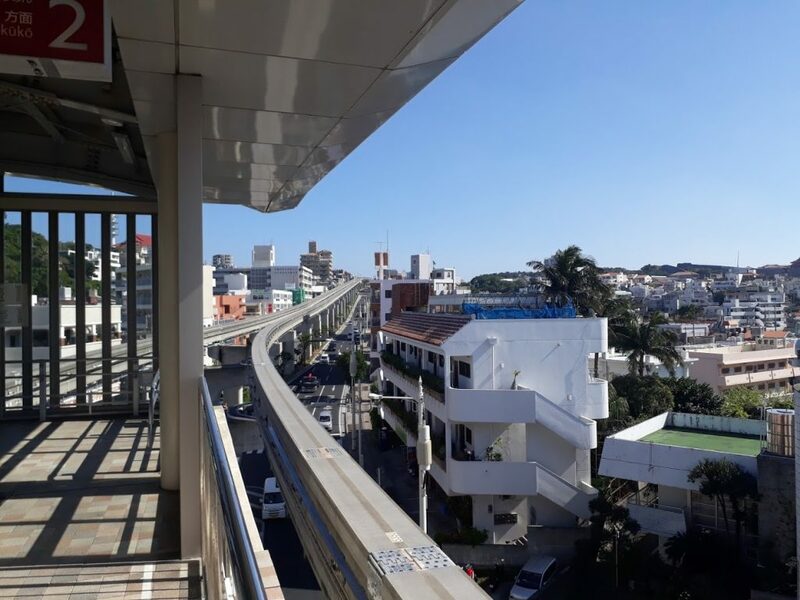 The airport is connected to the mono-rail, the only subway line in all of Okinawa. At the moment, it’s a single line. The mono-rail signs lead us on a goose chase, and we ended up walking around the entire airport a few times, before eventually finding the station which was right in-front of us. We stayed at a Hokke Hotel Club which is a 10 minute walk from Omoromachi station. If you have been to Japan before you probably know how small things can be; ceilings, hotel rooms, stairways – I never ducked so much in my life. I felt like I was playing an elaborate game of dodge ball. An alternative would be to wear a helmet at all times and charge straight into every obstacle. Taking subways in Japan is always fun. If you’re idea of fun is having skin to skin contact with a thousand men. Subways in Japan can be ridiculously packed. In Tokyo, during rush hours, they hire people specifically to push passengers into the carriages, squishing them together like sardines. The subway in Okinawa wasn’t that bad but it was pretty packed. There’s one only line so getting lost requires a bit of skill. Most tourists rent a car because it’s the most convenient mode of transportation, as public transportation is not great at the moment. Buses do come and go from most major cities but ticketing can be difficult to organize if you don’t speak Japanese. It’s fun figuring it out though! If you plan to stay in Naha and you can’t rent a car and you don’t want to spend hours on buses, travel options are limited. If you walk around Okinawa you’re bound to see lion or dog statues pretty much everywhere. 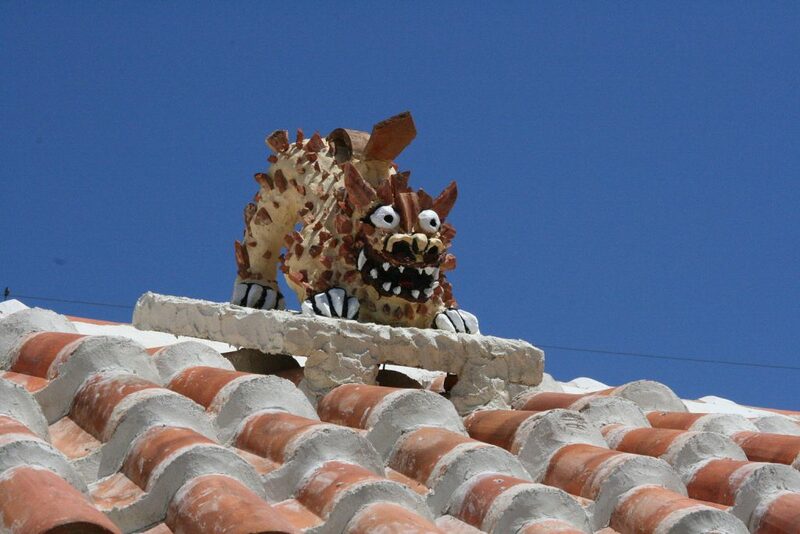 The belief is these lions guard your house and keep the bad spirits away. But you’ll find them in all sorts of interesting areas. In Japanese, they’re called Shisa. 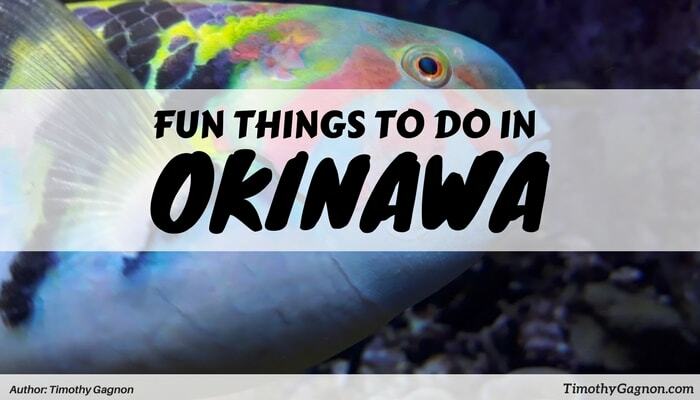 There is a lot to do in Okinawa; the only problem is getting around. But there a few hot spots that have shuttle buses to and from them, some of which we’ll talk about here. 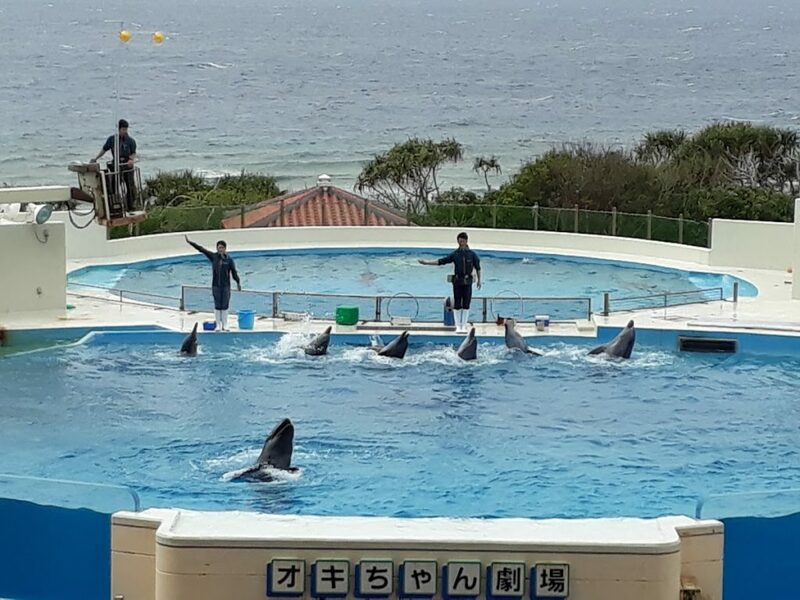 One of the most popular tourist spots in Okinawa, it’s a fun day-trip if you like sea-life and animals shows. Though it is a bit far from the main city, about 90 kilometers. To get there you need to take the Yanbaru Express Bus, which costs about 2,000 Yen and takes about 2 hours to get there. 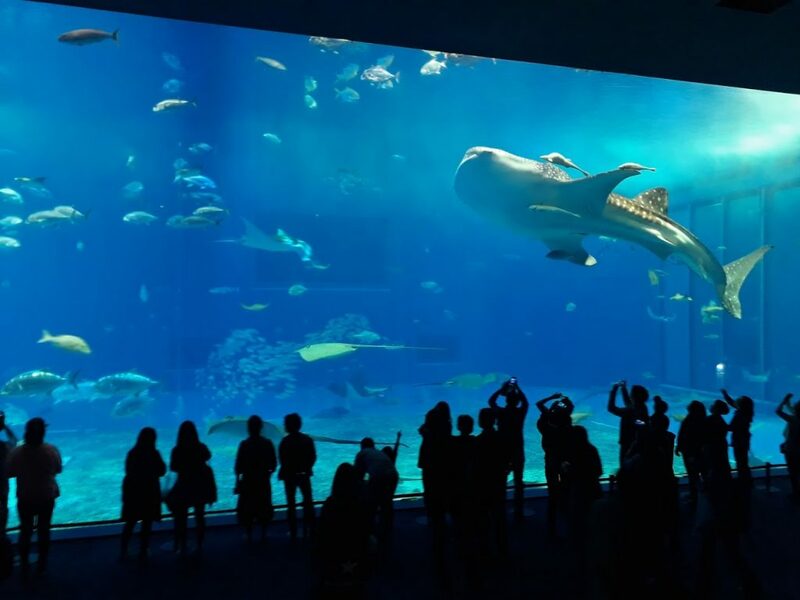 The ticket to the aquarium itself costs 1,850 JPY and you can buy tickets online or at the ticket counter. We had the pleasure of riding in a bus full of screaming children, so that was fun. But once you arrive you’re free to explore. You’ll start with these guys, the small aquariums, and as you move with the flow of people you’ll come to the larger section. Besides the ocean expo, there is a massive park and a small beach, but you’re not allowed to swim there. The Okinawa Churaumi Aqarium was pretty cool, it’s famous for their two tiger-sharks. 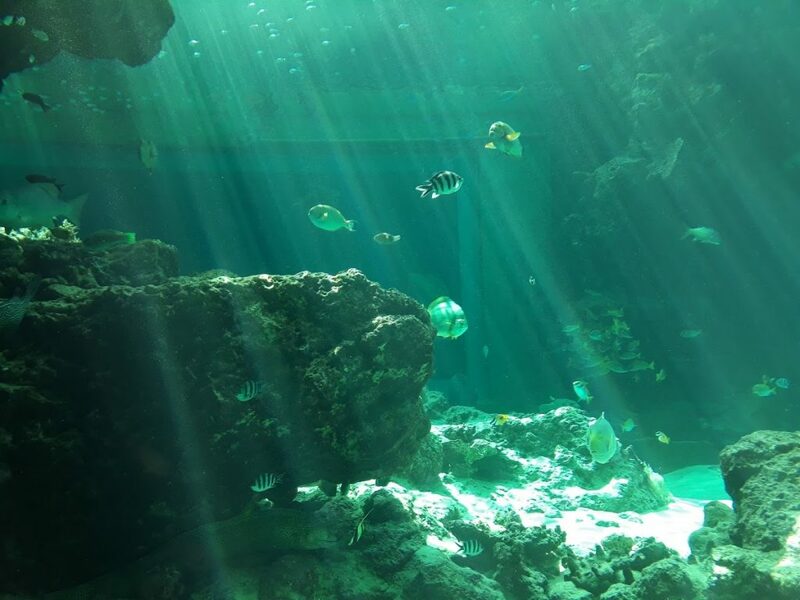 Follow the flow of people through the aquarium and eventually you’ll enter the main observatory where you can see two massive tiger sharks, swimming around in circles. A long the way you’ll see tons of cool sea creatures, fish, turtles, and manta rays. Fun fact, this tank is one of the biggest in the world. 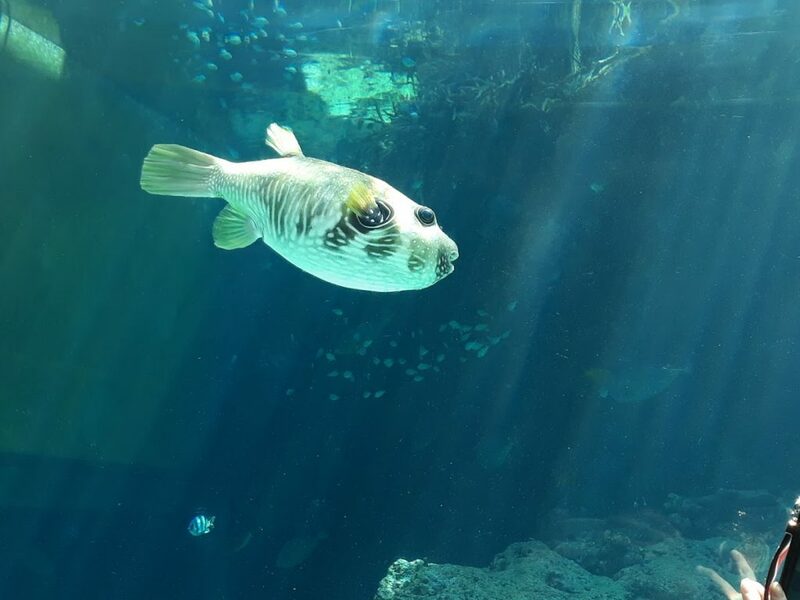 It’s a great place to learn about sea life and take some pictures. Probably explains why so many families were there! Eventually you’ll find your way out of the main building and into a boardwalk next to the beach. 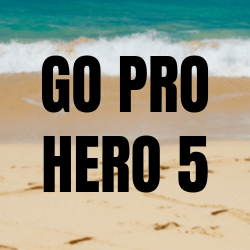 Here you’ll find manatees, sea turtles, and a famous dolphin show. Just keep in mind, the food options are limited, and quite expensive! Take the bus back to Naha. The bus stop is usually surrounded by a million people, so it’s not that hard to find. Located in central Naha by the Makishi Station, this shopping district attracts tourists from all over the world. It’s one of the most popular tourist spots in Okinawa, so it can be quite crowded. There are a ton of shops and restaurants on the street, basically everything one would want from a street. On this street, there are two popular treats: purple sweet potato and brown sugar products, it’s what Okinawa is known for. Basically it’s a cool place to walk around and do some shopping! 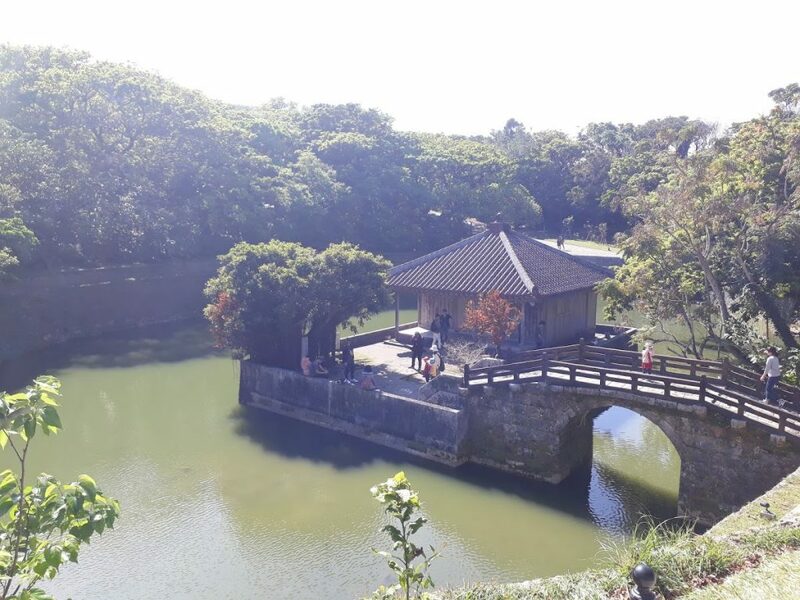 Shuri Castle is a short walk from Shuri MRT station. The castle has a pretty nice view but if you want to see the inner quarters you have to pay for a ticket. We didn’t feel like paying for a ticket so we stayed outside, which is just as nice. 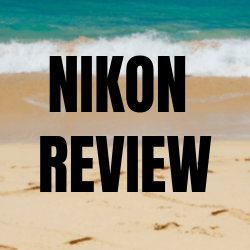 Unfortunately, when I visited Okinawa I didn’t have my trusty Nikon B700 so the pictures aren’t the best. Surrounding the castle you’ll find a small pond and river with a bunch of ducks. I thought the castle was pretty interesting and the views were great as well. This is the view from the top of the castle, facing the back entrance. Little pond with a lot of ducks. Smelled weird. A duck. These guys aren’t afraid of tourists at all. You can literally pet them. There’s not really much to do at the castle besides enjoy the view and take pictures. But it’s a nice place to explore a bit and relax. We only stayed for a few days so we didn’t have a chance to really explore the island. If you’re staying in Naha, the main city, it’s really easy to find something to do. But if you want to go out of the city, it’s harder to find transportation. Nevertheless, there’s plenty to do in Naha! For starters, a shitload of restaurants. Good thing Okinawa is in Japan! There are a ton of choices for the frequent foodies; mostly Japanese dishes, as one would expect in Japan. But you’ll also find Korean barbecue, Chinese food, Western food, and whole bunch of other choices. The food in Okinawa is delicious and cheap, a perfect way to add on a few extra kilos. My girlfriend decided that we absolutely must eat at this restuarant and no amount of persuasion would change her mind. Not even the street-long line of people in front of us. No. We have to eat it. Trust me, she says. It will be worth it. I quickly ran to buy an umbrella, and when I came back, she was casually eating cake in the pouring rain, completely soaked. After a couple of days waiting in line, we were finally allowed to enter. 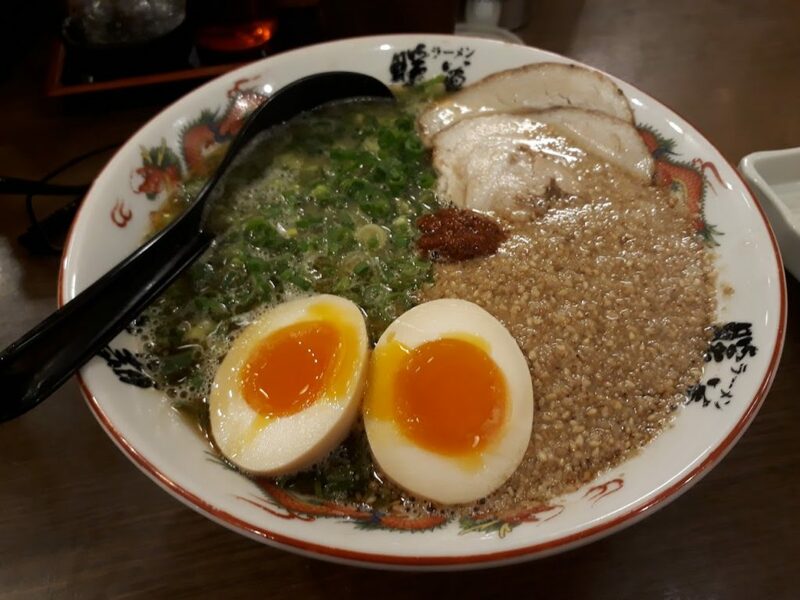 I have to admit, the ramen was delicious. 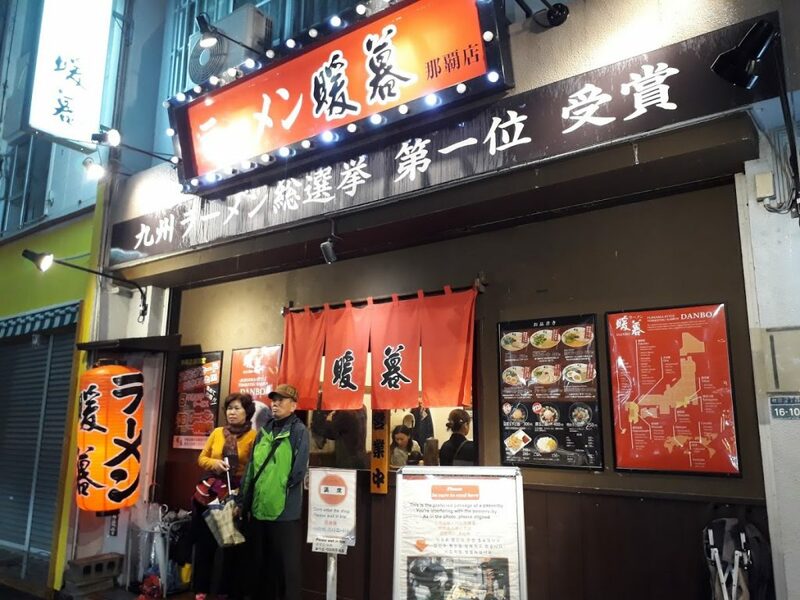 It’s a really small restaurant but they serve a bunch of different types of Ramen. You’ll have to order from the vending machine, and choose the type of noodles you want, as well as any side dishes or drinks. And you have to wait in line outside. It’s a specific rule. Some people try to sneak in ahead of the line and the staff quickly kicks them out. I saw this happen at least three times while we were eating there. Everything is pretty much walking distance in Naha. To find something interesting simply pick a direction and start walking! Okinawa – and Japan in general – is one of the safest places in the world. You can walk around in the middle of the night without feeling anxious. There’s a lot to do in Okinawa for sure, but to make the most of your trip I recommend renting a car. The nicest places, Okinawa’s secrets, are off the public transportation routes. P.S. If you liked this article, you might like my article about Sun Moon Lake & Qing Jing Farm. 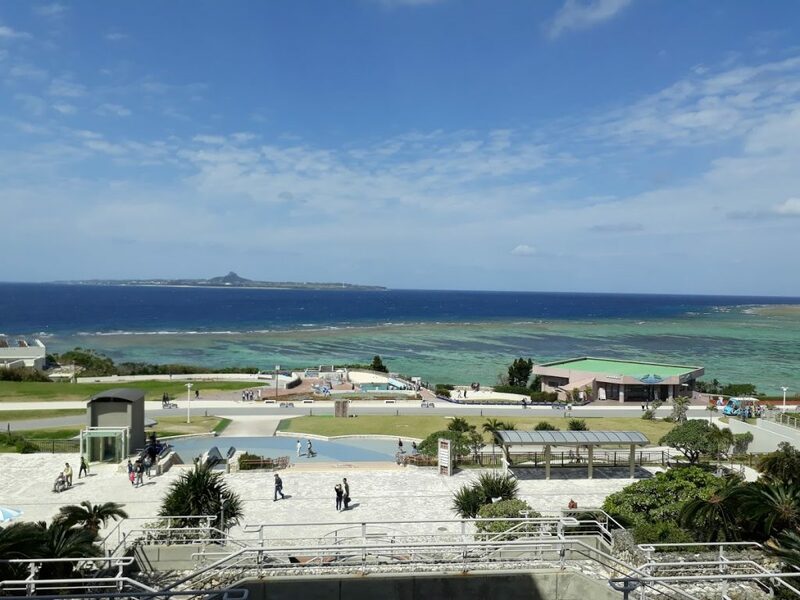 Hopefully this article gave you a little peak into what Okinawa has to offer. It’s a fun little place.